OUR ENDURING COMMITMENT TO QUALITY. Pony Jorgensen clamps are crafted differently. First, we source materials that meet our exacting standards. Then, we manufacture our clamps under strict guidelines and inspect each one to guarantee consistency and performance. The result? Clamps that can be trusted to do the job time and time again. We use only high-quality ductile cast iron, drop-forged, high-carbon steel, and anodized aluminum in our clamps. Zinc or chrome plating is added to many clamps for increased durability and rust resistance. Cold-drawn steel screws let you clamp with confidence. Only the finest seasoned, straight-grain North American maple wood makes it into our iconic Jorgensen handscrews, and all our seasoned hardwood clamp handles are meticulously shaped for maximum comfort to help them feel just right. The patented feature of our E-Z HOLD clamps allows you to join two clamps together to double the opening capacity of a standard clamp. The iconic multiple-disc-clutch design of our bar clamps has become an industry standard, giving you a secure hold anywhere along the bar. IT ALL STARTED WITH A HANDSCREW. Pony Jorgensen was founded in 1903 in the great city of Chicago. It was there that we created the first clamp made specifically for woodworking, the Jorgensen handscrew, which quickly became a staple among hobbyists and professionals alike. 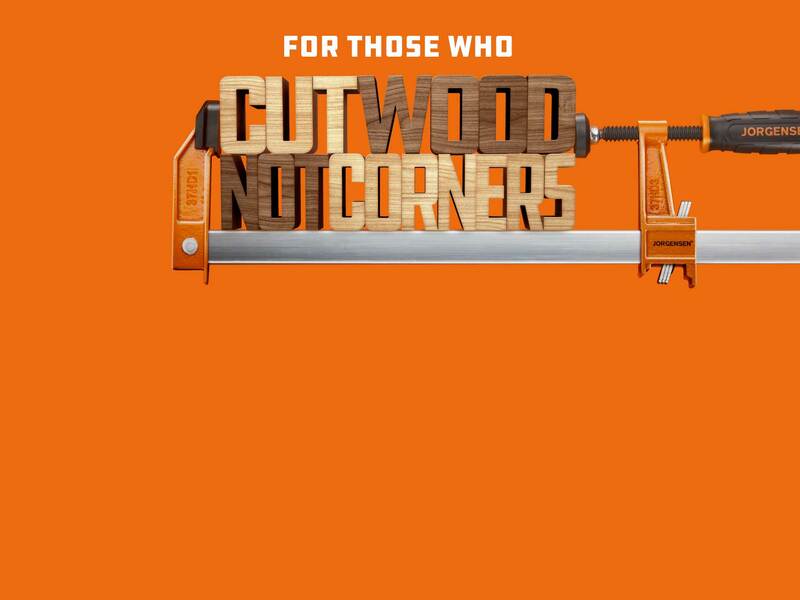 Today, our mission remains the same as it was more than a century ago – to provide woodworkers with the best clamps at a fair price.